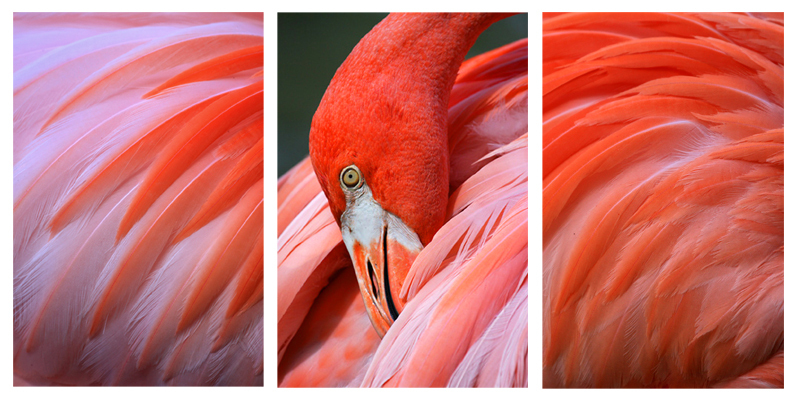 While we are on the subject of Flamingos (from my last post), an additional Triptych available to collectors is the Flamingo Triptych which was created from 2009 through 2013. Three images of three different birds exhibit the diversity in color and design of the beautiful feathers seen on different animals. This piece can add some beautiful color to the right residential or commercial space.